WASHINGTON, April 16 (Xinhua) -- The latest missile test conducted by the Democratic People's Republic of Korea (DPRK) is provocative and destabilizing, U.S. national security adviser said Sunday. "It just fits into a pattern of provocative and destabilizing and threatening behavior on the part of the North Korean (DPRK) regime," H.R. McMaster said in an interview with American Broadcasting Company. 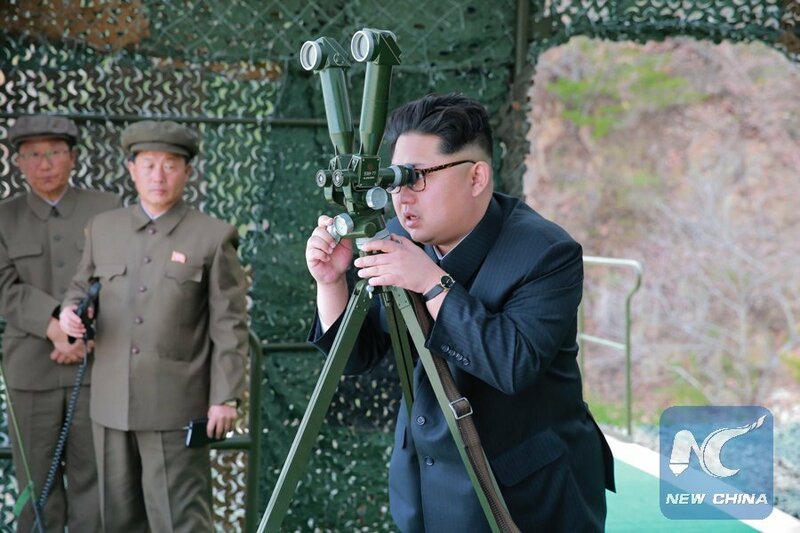 The DPRK attempted early Sunday to test-fire an unidentified missile on its east coast, which was believed to have failed, South Korea's Joint Chiefs of Staff (JCS) said. The Pentagon confirmed later that the latest missile launch by the DPRK had failed. U.S. President Donald Trump "has made clear that he will not accept the United States and its allies and partners in the region being under threat from this hostile regime with nuclear weapons," McMaster said. Trump has asked the National Security Council to integrate the efforts various agencies to provide options and have them ready for him if DPRK's pattern of destabilizing behavior continues, McMaster added. In the interview, the senior U.S. national security official also urged the DPRK to stop the destabilizing behavior, stop the development of missiles, and denuclearize. "That is the best interests of everyone in the region, and ultimately it's in the best interests of the North Korean (DPRK) people as well," he said. DPRK's new missile test, which took place near the port city of Sinpo, South Hamgyong Province, came hours after the DPRK showed in a festive parade all of its most-advanced ballistic and tactic missiles, including a submarine-launched ballistic missile which could strike targets 1000 km away. According to U.S. Pacific Command spokesman Commander David Benham, the command detected and tracked what the U.S. military assessed was a DPRK missile launch at 11:21 a.m. Hawaii time (2121 GMT) April 15. "The launch of the ballistic missile occurred near Sinpo," said Benham. "The missile blew up almost immediately. The type of missile is still being assessed."